Johnny Black is an award-winning Portsmouth-based photographer whose passion for his craft can clearly be seen through the time he invests in promoting the city's beauty through his work, and in how he constantly praises his fellow Portsmouth photographers across his popular social media pages. 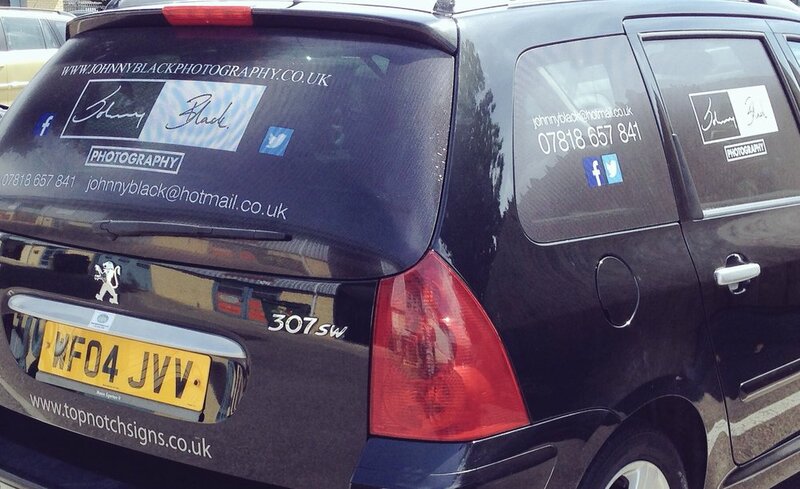 Johnny came to us at Team Locals Media wanting a logo and a website, which offered visitors a clear divide between his wedding photography services and his portfolio of Portsmouth-centric images. So, I used his signature as the foundation of logo split between black and white, and carried this easily-navigable divide through to his website. I also showed Johnny how to edit his website when he had new portfolio work to add, helped him get his blog up and running, and designed his business cards, as seen above. The friendship we built with Johnny at Team Locals has seen him sharing our content and us sharing his work to our respective social media streams almost daily!